Miho Nishizumi, a new transfer student to Ooarai All-Girls High School, would like nothing more than to enjoy a peaceful, stress-free school life. Unfortunately, her new school just revived its tankery program and enlists Miho to put together a team so that they may compete in a national tournament. As Miho struggles to overcome her turbulent past with tanks, she must first learn to tread lightly with her eccentric companions. Can Miho possibly plow through the challenges and master the art of tankery, or will she get left behind in the dust? 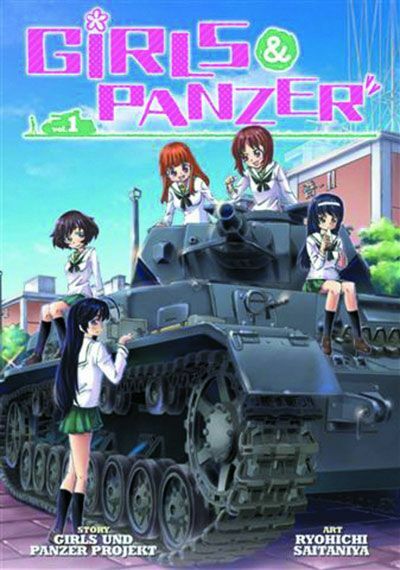 Other products for "Girls Und Panzer" in "Books"
Other products for "Girls Und Panzer" in "DVDs"
Other products for "Girls Und Panzer" in "Figures"